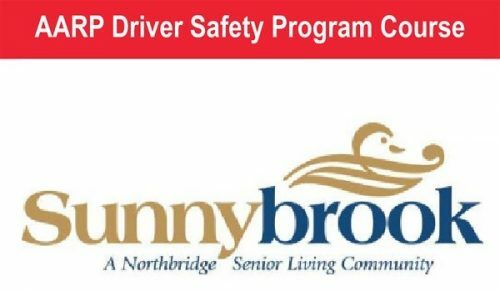 – Instructor Reed Rich will provide information and if desired a driving course to assess driving safety and competence The AARP Driver Safety Program in Maine offers classes for drivers 50 years of age and older at numerous locations throughout the state. The program is the nation’s first and largest classroom refresher course designed to meet the safety needs of mature and experienced drivers. Offered as a four-hour class at most locations in Maine, it helps drivers learn about defensive driving techniques, new traffic laws, rules of the road and much more. It helps older drivers learn how to adjust their driving to age-related changes in vision, hearing and reaction time. Sunnybrook will sponsor the registration fee. Advance registration is required no later than February 16th. Class size is limited and registrations are accepted first-come, first-served. RSVP to Brigit 443-9100 no later than February 16, 2018. ‘Aging Well’ Lunch & Learn: Can You Hear Me Now?